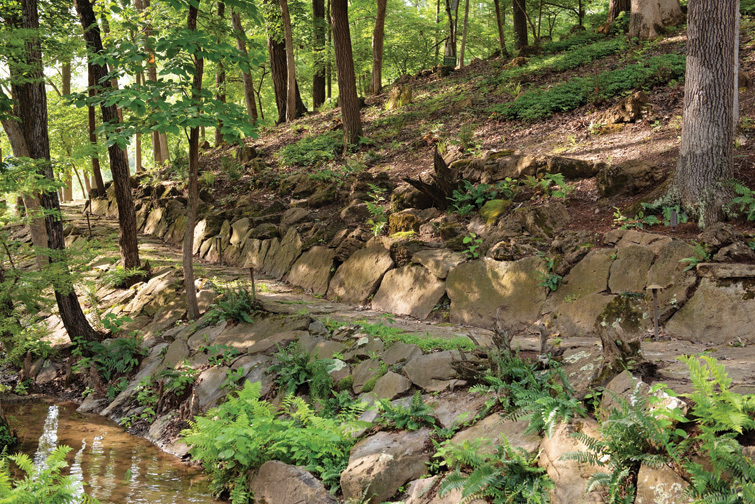 Illinois homeowners put total faith in landscape designers Caleb and Josh Bauer to create a breathtaking back yard and this year's 2018 Garden of the Year. Caleb Bauer pleaded his case using the Internet. It was a giant case to plead. In question was a Millstadt, Ill., hillside with a steep, 65-foot drop from the house his clients were building to a lovely, cypress-encircled, 3-acre lake at the bottom of the hill. The clients wanted access to the lake to fish and enjoy the beauty of the shimmering, mirror-like surface of the water. 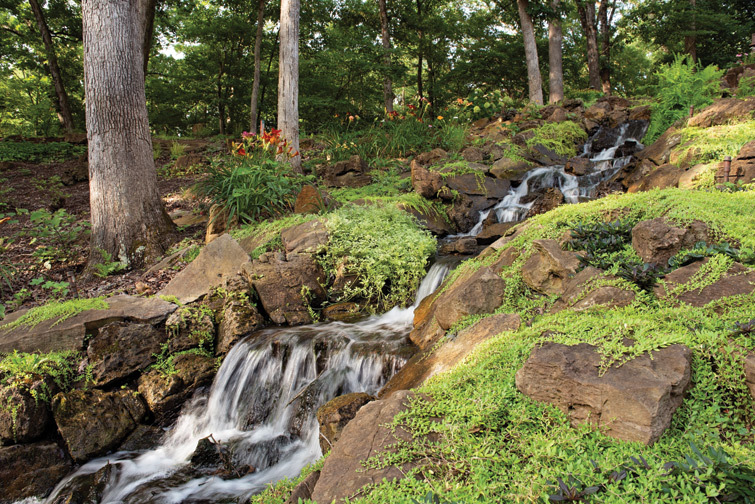 They also wanted a natural looking stream and waterfall like the one Caleb and his brothers Josh and David had constructed and maintained at their home in St. Albans on the Missouri side of the river. 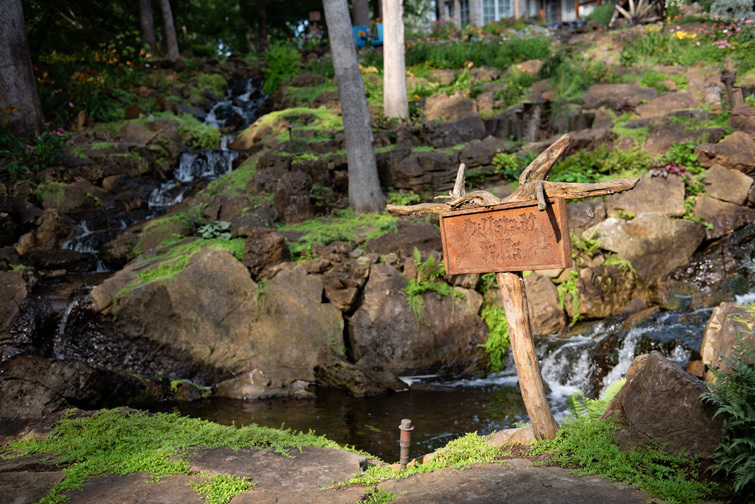 And, since they were starting from scratch in their move to be nearer their children and grandchildren who lived in Illinois, the homeowners wanted the waterfall to look a bit like it would be at home in Colorado, where they loved to vacation and fly fish. In Caleb's mind, the breadth and height of the hillside at their new home called for something totally different in scale than the water feature he had designed in St. Albans. "I sent them photos of the most beautiful natural waterfalls I could find online," he recalls, and "asked them to let me make a 'baby' in their back yard." With faith in Caleb's vision, the homeowners granted his request. "We had done several projects with them (Bauer Falls) and knew we wanted them to do this," the homeowner says. In actuality, Caleb and his brothers, who are part of the family-owned company Bauer Falls, created three or maybe four LeBron James-sized "babies" that stream down the lush hillside and spill into the lake. But it wasn't easy. First, they had to clear the hillside of brush honeysuckle and errant trees. Then, there were the mind-boggling logistics of where the streams would begin and how they would spill down the hillside. The homeowners wanted koi and fish ponds they could enjoy from the porches off the back of the house. Multiple pathways and steps needed to make their way alongside and sometimes over the waterways to get human beings as well as water to the lake. On top of that, the beauty of what the Bauers hoped to create counted for nothing unless there were multiple places where the friends and relatives of the family living at the top of the hill could sit, relax and take in the beauty of the landscape surrounding them. 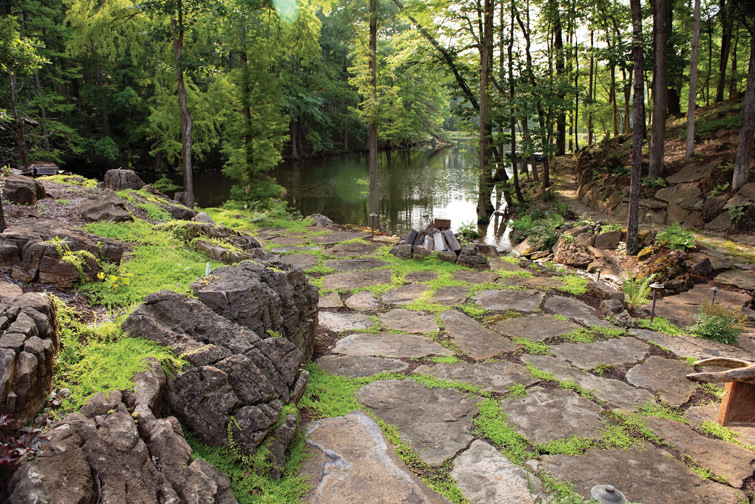 While the stones making up the pathways, steps and landings needed to be flat, others had to have a boulder-like quality both to anchor the hillside during erosion-creating rains and mimic the Rocky Mountain landscape the homeowners loved. It was the kind of project Caleb and his brothers lived for. 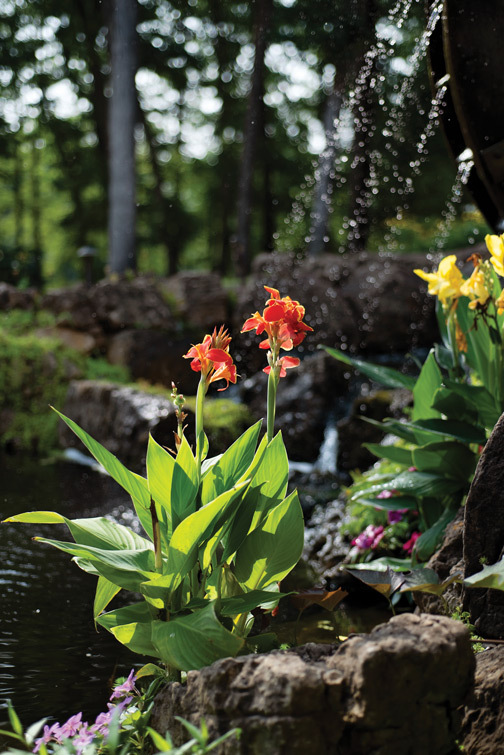 Josh was the first Bauer brother to become involved in creating water features for garden-loving homeowners. He pulled Caleb into the business that he and a friend were involved in to help out and initially "push wheel barrows," Caleb jokes. It wasn't long before Caleb began to have his own ideas of how to make the water features he was part of truly mimic those found in nature. He and Josh began to dream big with the idea of creating major projects. To do that they created their own company in 2008 with "the idea of bringing as much nature to people as possible," Caleb explains. “We grew up roaming the hills and playing in the woods." During that time in the hills and woods, the lay of the land; the way, over the centuries, rocks and boulders tumbled into place, and the ebb and flow of the streams and creeks became imbedded in their minds. They have used that natural institutional memory to transform the back yards and gardens of their customers. Using an excavator and a Bobcat Skid-Steer loader, it took the three Bauer brothers over a year to complete the project with Caleb estimating that about eight months of that year involved daily work on the landscape. "There was nothing here. They brought in all those boulders and set them so that they looked like they had been here for years," the homeowner says with a note of awe in her voice. "It was amazing to watch those boys do that." "When we place a stone, I can tell instinctively if it looks right. If it doesn't, we move it," Caleb explains. The entire project swallowed up 37 semi loads of weathered limestone and sandstone, often splashed with the mosses and lichens acquired in their original setting. Completed, it includes two pumps at the top of the hill and two other pumps at different locations on the hillside to make it appear that natural springs are coming from deep within the slope. Together, the pumps spill 48,000 gallons of water per hour onto the lake. The lake water is then recirculated for a return trip. The pumps operate 24 hours a day, 365 days a year. 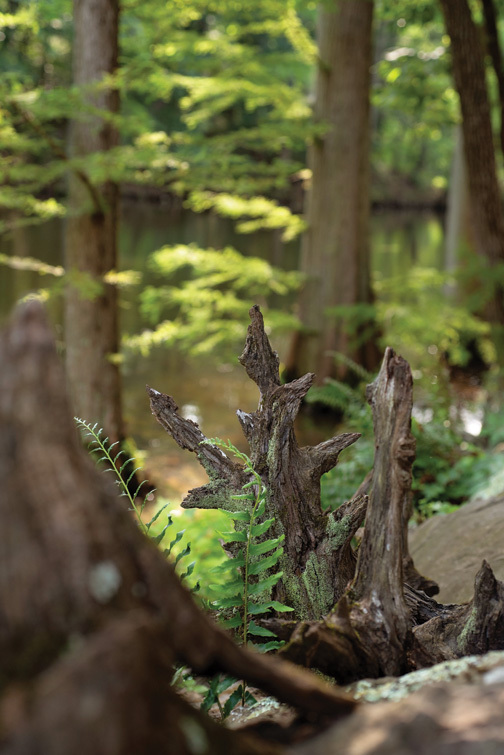 While the rocks and the water are dramatic, it is the careful addition of the plant life that truly ties the project to the land. Thirty-seven dogwoods line the over quarter-mile pathway that meanders from the top of the hillside through the landscape and down to the lake. Tiny, purple-flowered mazus peeks from between the broad stepping stones. Along the path ferns, ajuga and native hydrangeas accent the shady stretches, while native coneflowers, black-eyed susans, daisies and day lilies provide bold color where the sun hits the hillside. Creeping sedum stretches out over a number of boulders turning hard, gray projections into green glowing mounds. 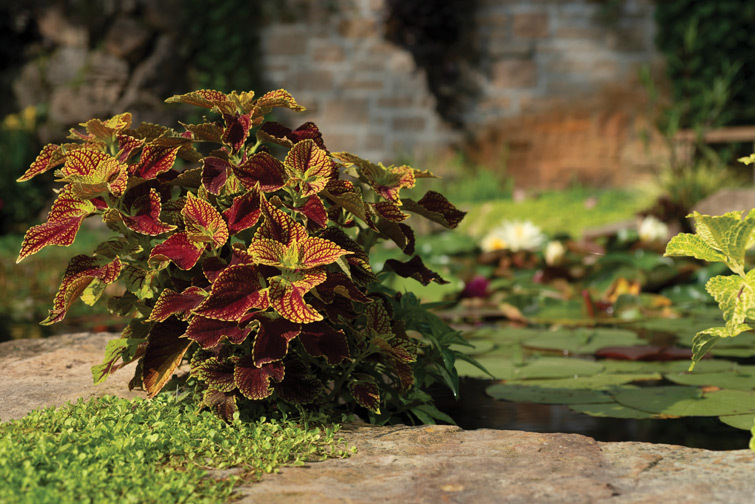 Bright annuals such as cannas, coleus, elephant ears and trailing sweet potato vine surround the water lily-filled ponds. The addition of evergreens, particularly blue spruce, help provide the Colorado ambience the homeowners craved and year-round interest. 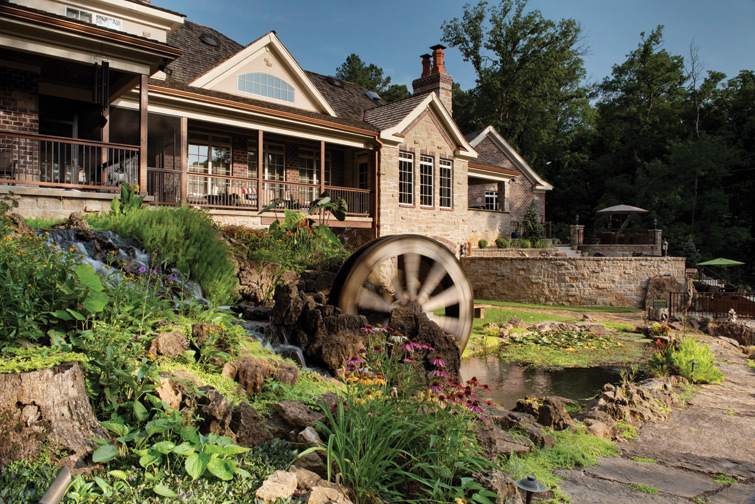 An 8-foot waterwheel adds to the rustic charm. The size of the project has made the Millstadt landscape the perfect place to recycle perennials from other Bauer Falls projects. "Caleb had a client who was getting rid of some beautiful day lilies. We were happy to have what someone else was throwing out," the homeowner says gratefully. It has been five years since the completion of the project and the landscape changes every year with the addition of new shrubs and perennials and the maturation of those already there, the homeowner says. Small details add charm to the rugged setting. Signs carved by Caleb from wood taken from the property note the special features of the landscape. 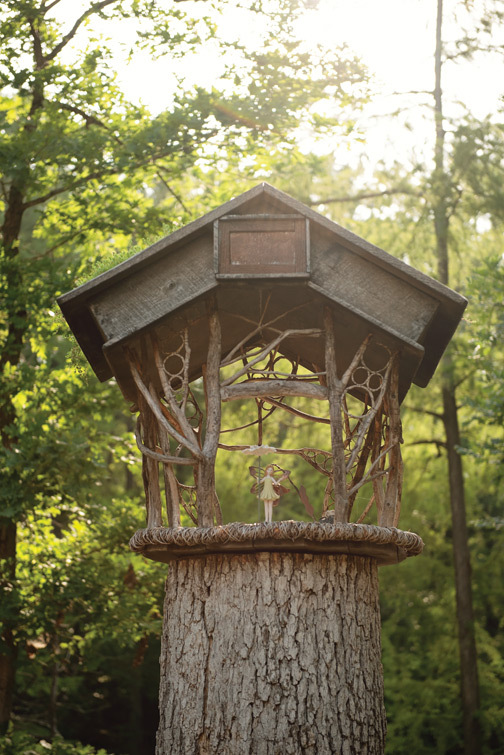 There is even a fairy house with a living roof perched atop and old tree trunk. 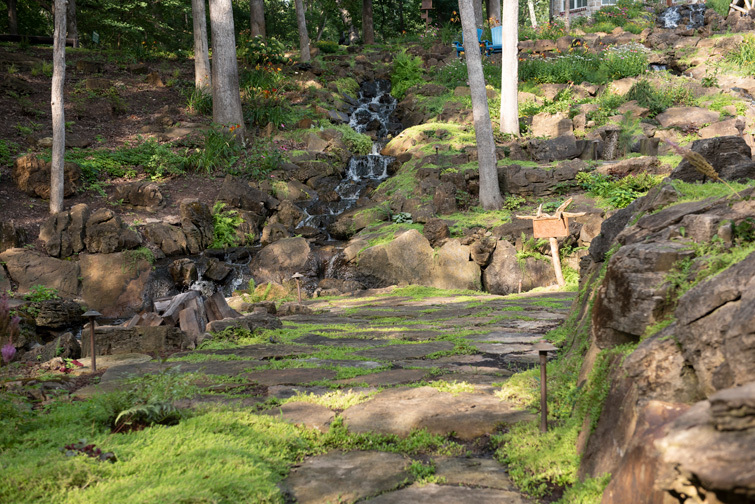 "The effect of seasons on this waterfall are amazing," the homeowner adds. While spring and summer would naturally be prime time, "my husband has taken photos in the fall and winter that are just beautiful. It is a very special place."